Finding the right wedding entertainment Melbourne has to offer is no easy task. With so many amazing wedding singers, high energy party bands, wedding DJs and MCs out there, choosing the right one often takes time, especially if you are looking for the right one that can deliver to your own taste. With Melbourne ranking among the top 10 city destinations in the world, it’s no wonder that it is packed with visitors the whole year round, including wedding parties. Melbourne is brimming with wedding entertainment companies that offer a range of packages but how do you choose the right one? Needless to say, your wedding day should be perfect. Hiring a wedding MC or a master of ceremonies to handle the flow of the reception entertainment helps in ensuring that everything flows according to plan and you can relax. The role of a wedding emcee matters in terms of ensuring that the program is followed. The emcee brings order and fun to keep wedding disasters at bay. They couple hosting with some humor to put smiles on the guests’ faces. They are able to segue and improvise whenever program hiccups happen to keep everyone entertained. Make your reception a blast! Aside from the master of ceremonies, there are other essential elements in making your reception a blast! Wedding games – The bouquet and the garter toss may be some of the highlights of a wedding reception, but it does not need to stop there. Games for grown-ups are seen as a great addition to entertain your guests and have a few laughs in the process. Wedding food – The wedding theme nowadays includes a properly conceived menu. Some like to stay traditional and formal, others find value in contemporary and out of the box menu. There are also wedding events that pair food with entertainment. Melbourne is a favorite wedding destination, for its modern ambiance, the lively metropolis and the amenities it can offer. And this is where Lovegrove Wedding Entertainment Melbourne comes in. If you are looking for the best wedding entertainment Melbourne has to offer, look no further. 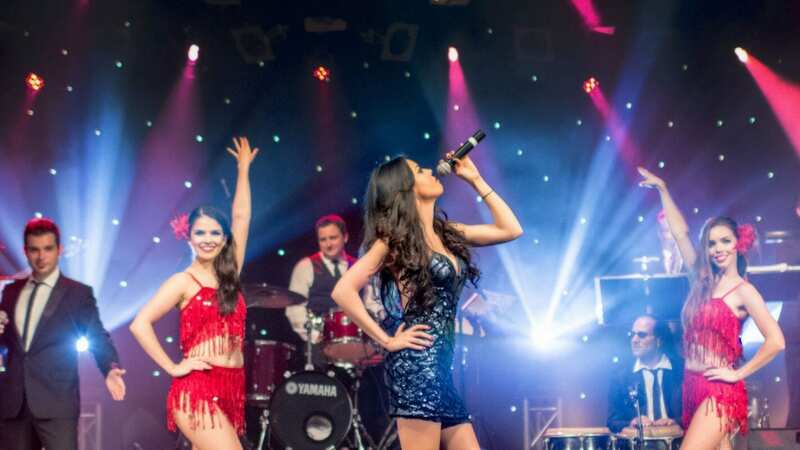 From planning to your reception entertainment, the team at Lovegrove has got you covered. We provide some of Australia’s opera and music theatre stars who can not only perform at the reception but at the ceremony itself. Just imagine having a well renowned operatic aria or love song sung by a true professional as you’re signing the register! They are also well known for re-enacting the famous wedding scene from ‘Love Actually’ where a flash mob appears performing ‘All you need is love’.